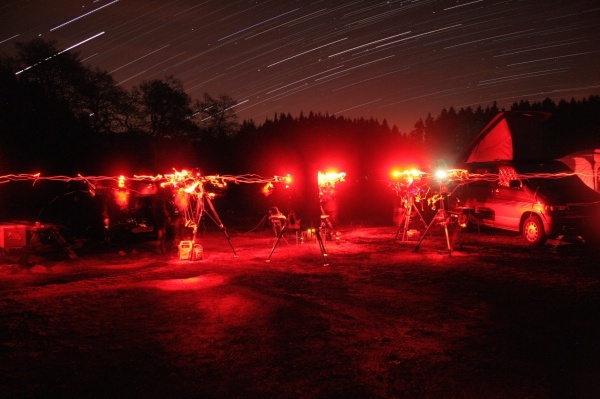 Dark sky chiefs in Northumberland are aiming to submit an ambitious bid to have a large part of the region designated as an international preserve dark sky park for the quality of its starry skies by this Autumn. Kielder Water & Forest Park Development Trust, Northumberland National Park and Kielder Observatory Astronomical Society are seeking the prestigious status for 400 square miles of stunning countryside to protect the area's rural character and promote star gazing and sustainable tourism in England's remotest corner. Now bid organisers can reveal an exciting new development. After detailed consultation with the Tucson-based International Dark Skies Association (IDA), which grants the award, it is likely that the whole proposed dark sky area will apply to become Europe's largest Dark Sky Park. Previously, the National Park was seeking reserve status, similar to that already awarded to Exmoor and the Brecon Beacons by the IDA - whilst Kielder Water & Forest Park would become a Dark Sky Park. But thinking has changed. Chair of the Dark Skies Working Group, Elisabeth Rowark, explained: "We have taken hundreds of light meter readings and worked hard behind the scenes to audit external lighting in the combined area. It is clear that we have what is probably England's largest expanse of remaining truly dark and starry skies. A significant part of the National Park has been discovered to be just as dark as the forest and that means we have raised our sights and will most likely go for one Dark Sky Park designation for the entire area. Creating such a large park in Europe is breaking new ground and we are working with the IDA to refine our proposal before seeking their ultimate adjudication, hopefully by the end of the year." Currently Europe's largest Dark Sky Park is Galloway in South West Scotland. Northumberland 's proposed park area is larger and if the bid succeeds it would create one of the largest such parks in the world, joining the likes of Death Valley, California, and Big Bend National Park, Texas, in the USA. "We have parish councils represented on the working group and we are also engaged in extensive consultations with local businesses, who are massively behind the proposal. In addition we have gained the support of prestigious bodies like the Greenwich Royal Observatory and local tourism bodies. 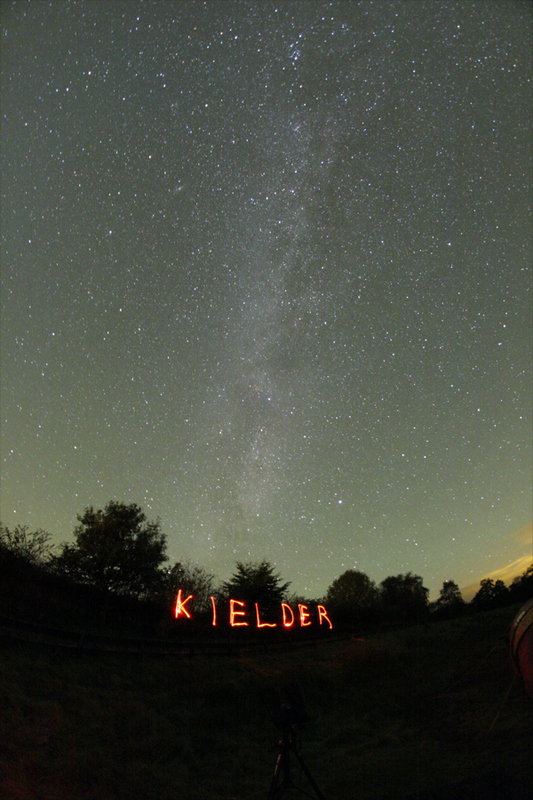 We have a really good story to tell the IDA about the huge success of the Kielder Observatory and about the outreach work already underway to introduce people to the wonder of the heavens. This is an exciting time for us all, especially with Kielder Water & Forest Park being voted England's number one tourism experience in the recent VisitEngland 2013 Awards for Excellence." 2. Kielder Water & Forest Park Development Trust is a registered charity working to develop the Park as an inspirational place. It aims to improve economic, social and environmental sustainability, provide public recreation and leisure facilities, facilitate education in all aspects of the natural environment and advance art and architecture in the Park. The Trust works with the range of communities to benefit from these activities. Members, who have appointed directors/trustees to serve on the board, are Northumbrian Water, Forestry Commission, Calvert Trust Kielder and Northumberland County Council. Affiliate organisations that are not members but have a close working relationship with KWFPDT include Arts Council England, Northumberland Wildlife Trust, Environment Agency, The Scout Association and local decision making bodies such as the parish councils.